Aleisha Bag https://www.review-australia.com/au/aleisha-bag/RE19ACC106.RENVY013.OneSize.html A boxy leather-look clutch in blue and red. The classic yet modern piece features a cross-body strap and sturdy drop handles a red leather-look trim and shiny gold hardware. 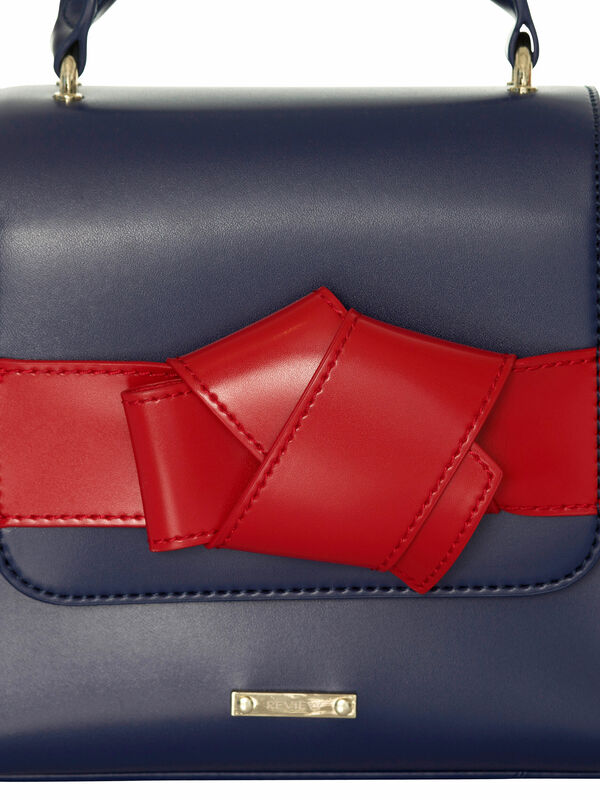 A boxy leather-look clutch in blue and red. The classic yet modern piece features a cross-body strap and sturdy drop handles a red leather-look trim and shiny gold hardware. Aleisha Bag is rated 5.0 out of 5 by 11. Rated 5 out of 5 by Kimberly Jane from Lovely Shade of Blue I purchased this bag to match with my Ahoy There Jumpsuit when I wear red shoes. The shade of blue is such that it does co-ordinate well with many blue outfits and black. The red bow is a nice touch that matches well if you wear red shoes. The bag works well as a daytime and evening bag. The bag is large enough to carry the essentials with room to spare. 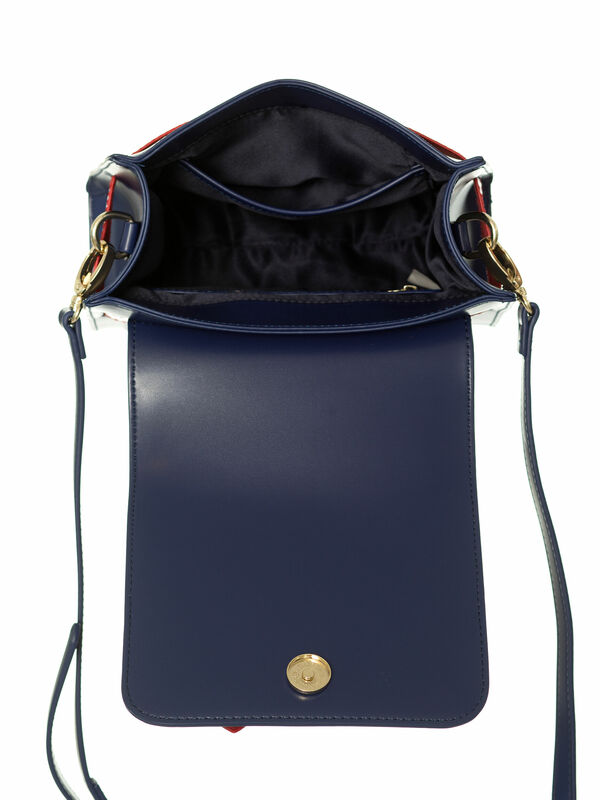 The shoulder strap and pocket at the back of the bag for your phone are nice features. Rated 5 out of 5 by AleishaM from Love it!! I purchased this gorgeous little bag recently because I love the colours (and having it have the same name as me helped a little too). It is just the right size to fit every thing I need without it being too big or too small. Just love it!! Thanks to the team at Castle Towers for the little note that came with it! Rated 5 out of 5 by Review Chick from Matched the orianna dress perfect. I bought this to match the "orianna dress". It is well made and more sizable than expected. 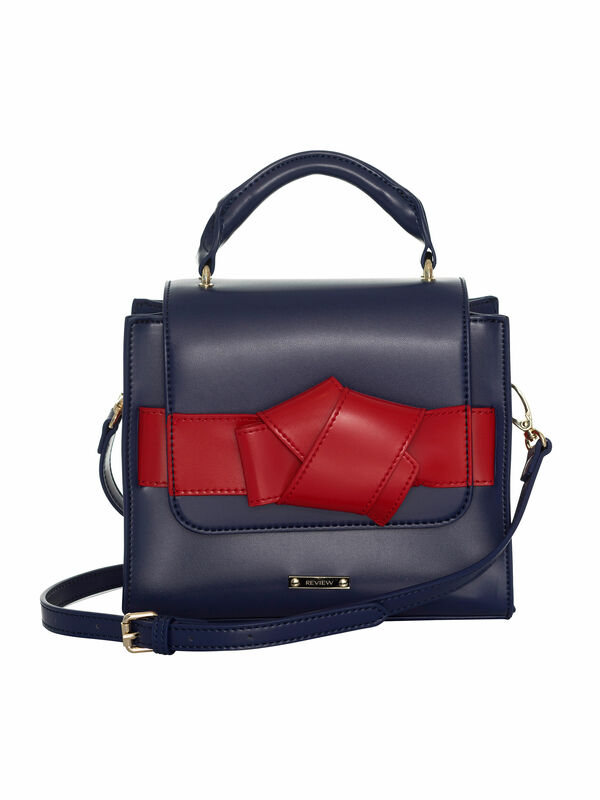 The bag is flexible from day to night, and the shoulder strap is detachable for a new look. I love it's versatility. Rated 5 out of 5 by Lauren.S from From night out to everyday! This purchase went from a night out bag to my everyday bag! It is surprisingly spacious inside with an extra pocket on the back for your phone! So handy! Rated 5 out of 5 by Jacinda from Love! 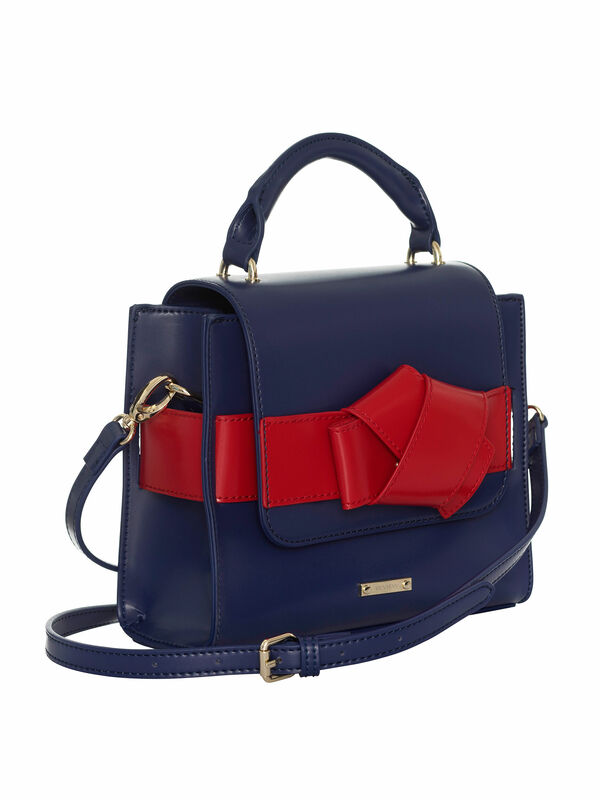 I adore this bag! I wear a lot of navy and red so I am going to get a lot of use out of it. The size is perfect too!